TCL just let us in on its plans for CES 2017 early next month, and - surprise, surprise - they revolve squarely around BlackBerry. 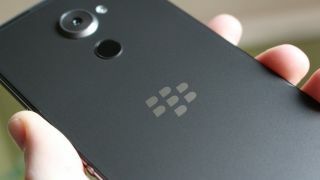 To get you caught up: TCL, a Chinese company best known for TVs and Alcatel phones, recently forged an agreement with the Canadian firm to release handsets under the BlackBerry brand. During CES, we may get our first look at the fruits of this partnership. As outlined in a press release, TCL "will unveil an evolutionary first in the mobile industry, which will include the addition of the new BlackBerry brand of smartphones, complimenting the company's current portfolio" during the show. No further details on what exactly TCL is plotting were provided, so it's unclear if it will announce actual phones or simply discuss the kinds of devices it will release down the line. This being the biggest tech show on the planet, however, our bet is on TCL packing a handset we can get our mitts on. One thing we can say is TCL has lofty ambitions. It hopes to hopscotch from its fourth-place position in the North America phone market to "a tier one portfolio brand." At CES, the company will outline how it plans to take BlackBerry's legacy and bring it to "a new generation of smartphones." "We'll unveil more news at CES around our plans, showcasing the legacy of the BlackBerry smartphone brand, while also giving a glimpse into what new BlackBerry smartphones will offer as part of our bold new brand portfolio within [TCL]," Steve Cistulli, head of TCL in North America, said in the release. Though it's unclear whether a phone or phones will be at CES or unveiled some time later, a key detail from today's release is that the new BlackBerry handsets sound to be in the premium level as TCL looks to move beyond budget phones. We'll be on the ground at CES 2017 to bring you the latest on this new incarnation of BlackBerry, so stay tuned for more.